Memories of an old usher with a few tears in my eyes. 1961 was my first and only year as an usher at Metropolitan Stadium, but what a year it was. We were not dreaming of World Series and Superbowls – in fact there was no Superbowl in 1961! The old Washington Senators and their slogan of First in War Last in the American League did not count any more. These were the Twins – a new creation out of an old organization. We did not finish last! We finished 7th out of 10 ! But that is something, isn’t it? There was something special about that team. Camilo Pascual on the mound with Pedro Ramos, Kralick, and Kaat made a good rotation and we even had the token Gopher – Paul Giel on the squad. At bat all the sluggers were there – Lemon, Killebrew, Allison, Battey, Versalles, and the sparkplug, Billy Martin. Our new team enthusiasm seemed to have some real validity. And it did. In 1965 we went to the World Series and I spent hours in the Dayton’s break room on fifth floor watching the old black and white TV and wishing Sandy Koufax had more than one religious day that week. We battled and lost 2 – 0 on the final and seventh game – to Koufax, of course. But we were there in the big show and, of course, we knew we would be back the next year and for many years from then on. The Minnesota spots fan needed this. I had been to the Minneapolis Lakers games at the armory and the Auditorium and watched players like Elgin Baylor before they moved to the lakeless Los Angeles [Yes I am bitter and will never route for them, just like the Atlanta version of my old Milwaukee Braves.] The Lakers had won SIX NBA championships during their time in the City of Lakes, but enough of that because we had something even better, the Number one football team in the country. In the Fall of 1961 we had gridiron heroes at the University of Minnesota and in the NFL. In those days the Gophers were a powerhouse and the number one team in the nation (1960). We had multiple Rosebowl appearances because of Carl Eller and Bobby Bell – two NFL Hall of Famers and Sandy Stephens at QB. In 1961 we were ranked 6th with a record of 10 – 2. We knew that Murray Warmath would be keeping us on top of the rankings for decades ahead! The new show in town was the Minnesota Vikings, not a transfer team, but brand new and not too sparkling. In fact, they were expected to go 0 – 14, but this team drew the love of the Minnesota fans and shocked the football world by winning three games. They shocked the football world in the very first game against the old established Bears (who, along with the Packers, were one of the original professional teams). Maybe it was the ghosts of the Duluth Eskimos that were on the field that first game when old reliable and not that good quarterback George Shaw came off the field and unheralded draft choice Fran Tarkington came on. He threw three touchdown passes and ran for a fourth! We were undefeated. Well we did not end up undefeated, but what a memory and what a quarterback! In 1964 Carl Eller came from the winning Gophers to the Vikings and life was looking up. 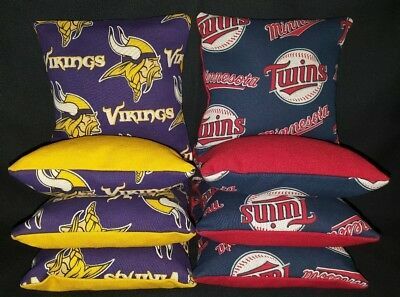 In 1964 the Vikings were tied for second! Jim Marshall and Carl Eller – half the Purple People Eaters were on the team. In 1965 the Twins were in the Series and no one knew it would take 22 years to get back there or that we would have only 3 world series appearances in 54 years. But this is a Twins site, so you all know that. It is Superbowl time and it is the Vikings that we need to explore. In 1967 the first Superbowl was played. It was called the AFL/NFL championship and the Packers took on the Kansas City Chiefs. In those days the Packers were a mismatch for every team – NFL or AFL. Lombardi was so unbeatable they had to name the eventual Superbowl trophy after him. And the Packers put Jim Hornung, Jim Taylor, Bart Starr in the backfield behind an all-star line with future HOFs and a defense which also featured future HOF stars and the game started out slow – only 14 – 10 at half time. Then the Packers took over for a 35 – 10 victory. In January 1968 the game was called Superbowl II and the Packers were back and beat Oakland 33 – 14. We knew who could get the glory back for the NFC/NFL – those mighty Norsemen from Minnesota. They did not even were cloaks or use heaters in the frigid winters of Minnesota. In Superbowl 4 the Purple People Eaters were taking center stage with stoic old Bud Grant at the helm and Hank Stram, with memories of his debacle with Green Bay, enthusiastically leading the Kansas City Chiefs back to the big game. The Vikings were ready after a challenging playoff set. I was at the game with the Rams in a very cold Metropolitan Stadium. No one could measure wind child because the wind swirled around the bowl of the stadium like a wind-chill tornado. We were all trying to stay warm by clapping with our choppers (mittens) and creating a dull roar. But the Vikings were cold and listless and at half time they looked like a team ready for the showers. Yet the fans who had endured more than the players would not let it happen. As the team left the field the roar started, and it continued beyond the last Viking to leave the field and could be heard in the locker room. We did not come to suffer frost bite for a loss. The players heads went up and there was a noticeable change. We won 23 – 20. Then on an even colder day we beat the Browns 27 – 7. There was nothing better than being in the bleachers where the wind could blow through our legs while the upper body was frozen from the stadium wind. In the Superbowl, we knew we could take the Chiefs, but something went wrong, either they had too much fun on Bourbon Street the night before or they had taken a Bud Grant pill and did not know it was okay to be excited and emotional in the big game. Most Minnesota fans were at home where it was still cold. 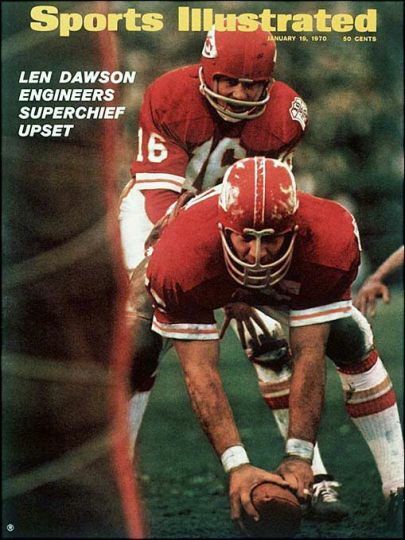 We were frustrated because we could not clap our choppers together enough to send a shock wave to New Orleans and the team stunk and lost 23 – 7. We swallowed out disappointment because there is always next year, or rather there is four years in the future when this great team and great coach got to go to Houston to play in Superbowl VIII. We got to play the Miami Dolphins one year after their perfect season which was too bad. We lost 24 – 7 and once again our HOF coach did not have any emotions and neither did his team. If we had lost the year before at least we could have been part of a really historic undefeated year for the Dolphins. Instead we just stunk! 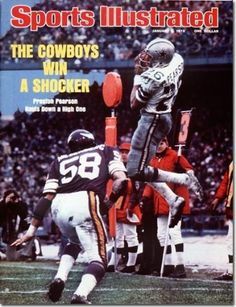 Then came the next year – when we lost to Pittsburgh 16 – 6 back in New Orleans. This was getting beyond embarrassing. We were never in these games. 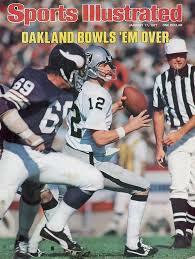 Much as we feared, we still had another Superbowl in us and two years later in Superbowl XI we got whacked by Oakland 32 – 14. At least we scored in double figures. 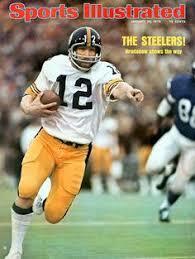 That was Superbowl XI and now it is LIII - 42 or XLII years later and we have not been back. We have memories like the Dallas push-off touchdown, the Knee, 41 – 0, Minnesota Miracle followed by a Philadelphia thumping, the famous Farve interception and Peterson fumbles… The Vikings are O-4 and I do not want to comment too much on our playoffs and league championship games.